When you meet Quinton & Torey, you'll immediately see what a playful love these two have together. 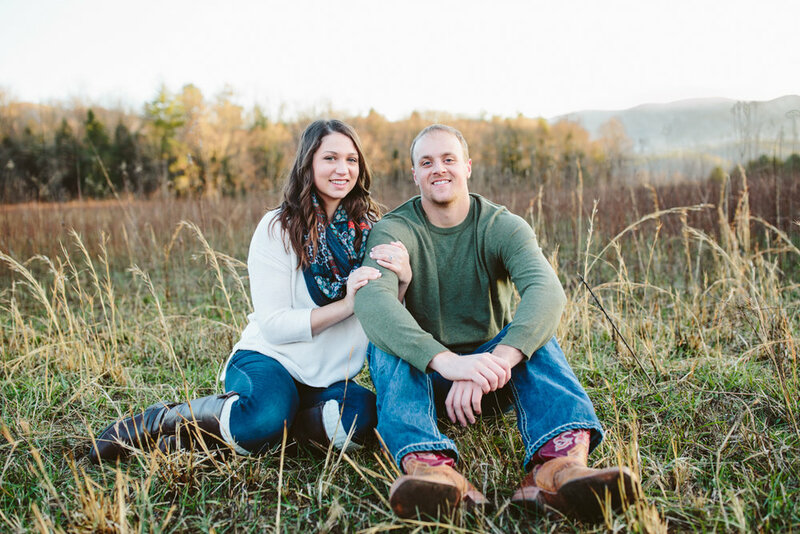 They met at Carson Newman College Torey's freshman year - but as easily as these two met, they could have just as easily missed each other. Torey and a few friends were heading to the movies and just happened to cross paths with a cute baseball player named Quinton in the dorm lobby. With an invitation to join, he quickly changed out of his practice gear to come along for the ride! "What drew me to Torey was her laugh," Quinton told me. Torey remembers that first night they met and how easily conversation came for the two of them - they talked for forever and it felt so natural. It wasn't long before the two were dating and inseparable, just loving life and doing everything together. 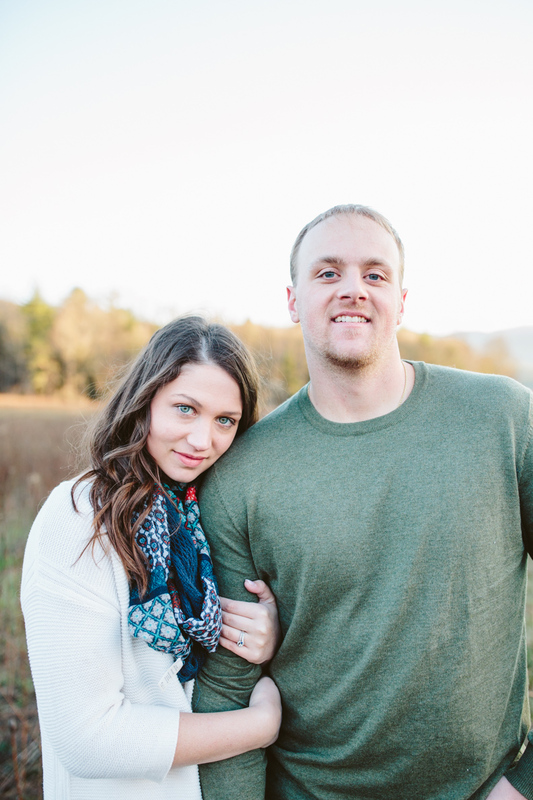 Now, almost 5 years later, these college sweethearts are getting hitched right here in Tennessee where they met. Family and friends will travel from Ohio to Florida to see them commit their lives to each other and begin a new adventure. Cheers to the future Yocoms, I am so excited for your special day coming in October! 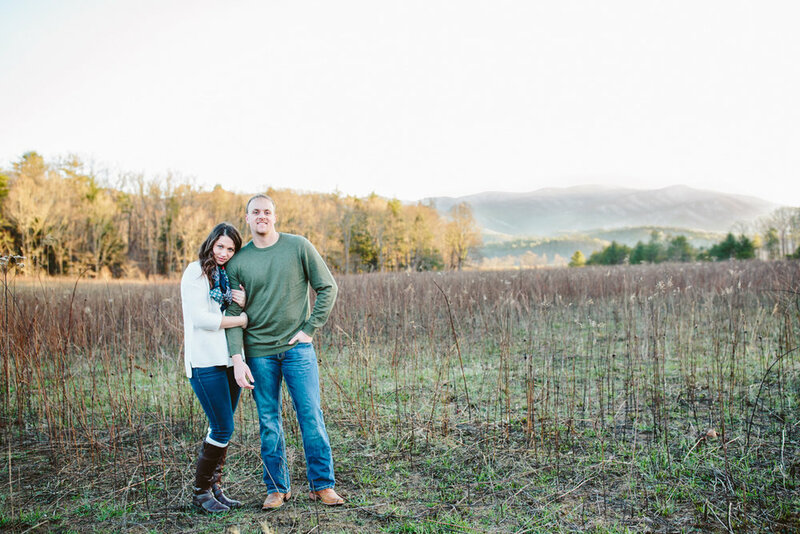 I'm excited to share a few favorites from our time together at Cade's Cove. Enjoy! The sun was shining brightly without hardly a cloud in the sky, but the weather was still chilly & these two didn't have any problems cozying up to stay warm! Cade's Cove is usually packed full of people, but we practically had the place to ourselves and enjoyed the relaxing river trickling by. Torey is such a natural beauty & is going to be one stunning bride! 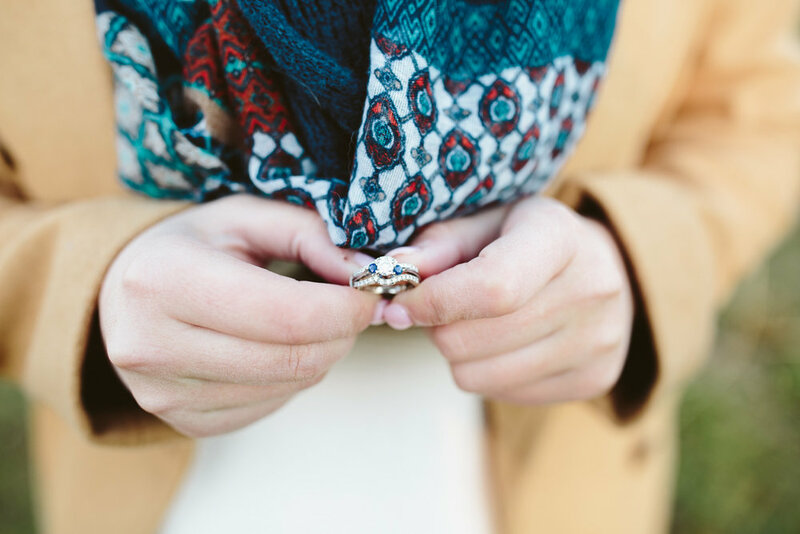 I can't handle those beautiful blue sapphires in her wedding ring. Their sweet puppy named Patton got to come along for the ride too and was such a good sport! 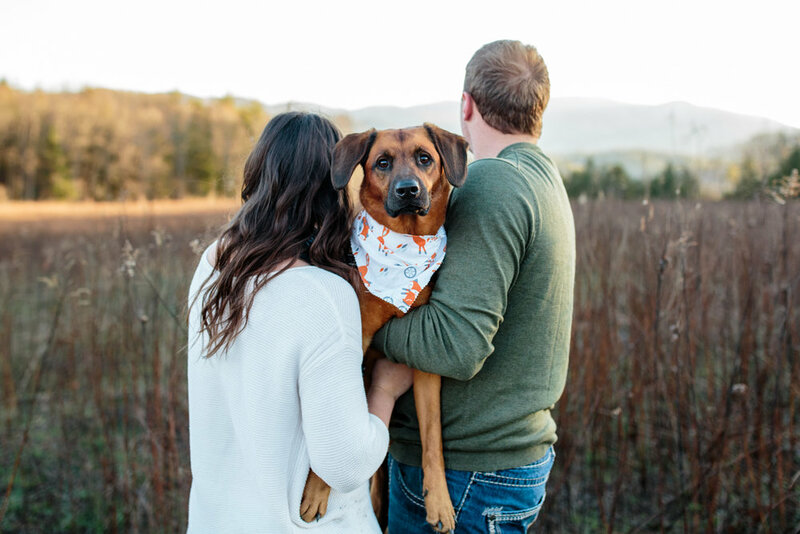 I can't wait to hang with this labrador/german shepherd mix on the wedding day, too. He loves his humans & they love him back! The sunset on the mountains was the perfect ending to our afternoon together. Torey & Quinton, I can't wait for your special day in October and I am so honored to be your wedding photographer!